M ondi is an international packaging and paper Group, employing around 25,000 people across more than 30 countries. As part of their modernising programme, Mondi wanted to adopt a new, more efficient storage solution for their factory in Nyiregyháza in northeastern Hungary, which produces industrial bags for the building materials market as well as small bags and shopping bags. The factory was built in 1972 and taken over by Mondi in 2008. It is a long warehouse with limited access, so a solution needed to be found that would be more efficient and allow easy access to the aisles. This is a semi-automated storage solution which removes the need for forklift trucks to enter an aisle. All handling of the goods within the channels is carried out using the Pallet Shuttle which is remotely controlled by the user. Handling of the pallets outside of the rack is conducted using standard forklift trucks. 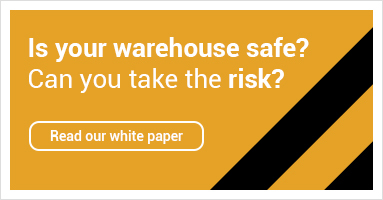 “We were looking for a solution to make maximum use of our long warehouse with limited access. We needed a modern and quick system that would allow us to access the aisles easily and get the pallets from the back to the manipulation area in a quick and safe manner. Dexion’s Shuttle system proved to be the perfect solution, as it allows for quick transfer of the goods to the handling area without requiring the forklift truck driver to enter the channels”.